With the US now holding the presidency of the Security Council, Haley said the aim is to put further pressure on Tehran over its alleged violations of council resolutions. US President Donald Trump plans to lead a meeting of the heads of state of the United Nations Security Council on Iran in late September, his envoy Nikki Haley announced Tuesday. 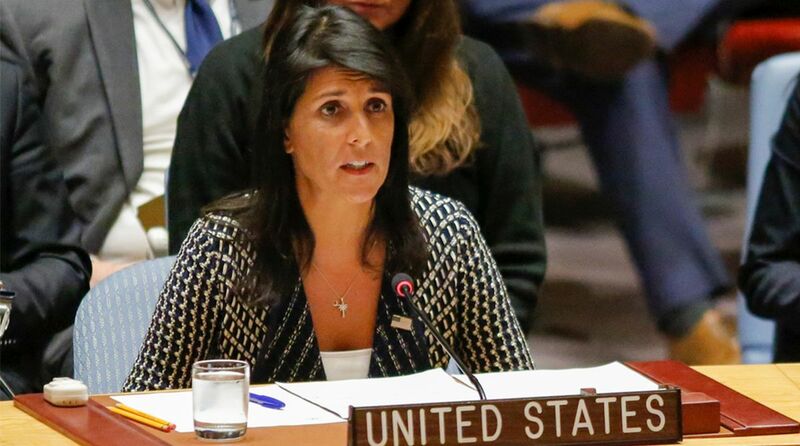 “President (Donald) Trump is very adamant that we have to start making sure that Iran is falling in line with international order,” Haley told reporters. “If you continue to look at the spread Iran has had in supporting terrorism, if you continue to look at the ballistic missile testing that they are doing, if you continue to look at the sales of weapons we see with the Huthis in Yemen — these are all violations of security council resolutions,” she said. “These are all threats to the region, and these are all things that the international community needs to talk about.” Washington has sought to build up international pressure on Iran after reimposing tough, unilateral sanctions on August 7 and setting a November 5 deadline for halting Iran’s oil exports. In reaction to the reimposition of sanctions Iran demanded in The Hague that the top UN court suspend the unilateral US sanctions. Haley denied the United States was seeking regime change in Iran, saying the US effort is aimed at supporting the desires of the “Iranian people.” “We are going to stand with the Iranian people. They have every right to be heard in their government and they have every right to change it,” she said.